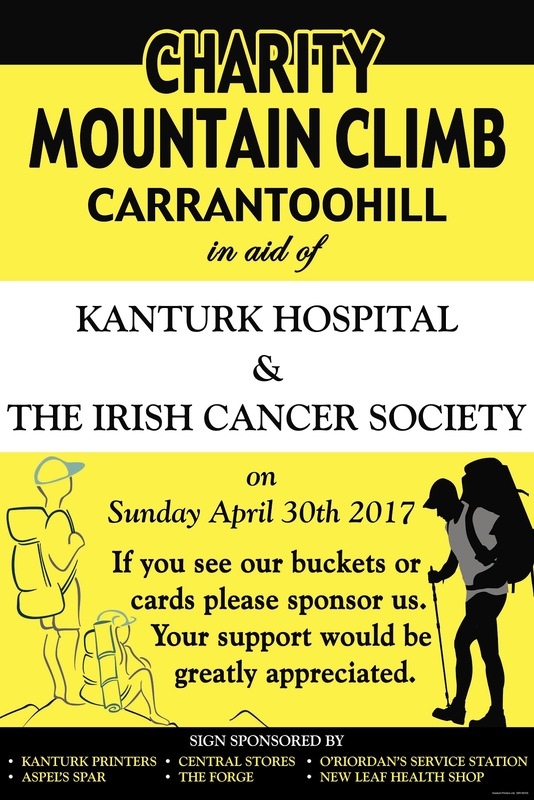 in Aid Of Kanturk Hospital & The Irish Cancer Society. The first climb up Carrantoohill raised €2950 in aid of Pieta Hospital & The Twomey Memorial with 60 climbers and we had a good day out. The second climb was up Mount Brandon in Aid Of Kanturk Hospital & Marymount Hospice and raised €6500. This climb went over 2 Sundays , on the first Sunday we had to get off the Mountain for safety & the fact we were soaked through & through. The second Sunday was an absolute brillant day where experienced climbers never saw the Brandon top clear & sunny but they saw it that day.